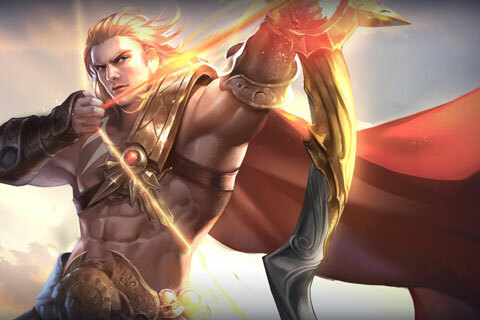 Yorn Item Builds Guide for Arena of Valor (AoV). Each build is geared toward a different play style, so choose one that fits your personal preference. Fafnir’s Talon Fafnir’s Talon procs on each mini-strike of Yorn’s arrow flurry. This leads to him being able to shave very large portions off of the enemy’s health very quickly and is one of the reasons that Yorn has one of the highest possible DPS in the game. The stats that the item provides are all extremely beneficial to the marksman as well. Claves Sancti This item is great on marksmen. Not only does it offer a lethal combination of attack damage and critical chance, it holds a pair of extremely powerful passives as well. First and foremost, it increases the amount of damage done whenever the wielder critical hits, which is in itself very valuable. Next, it raises the wielder’s speed whenever they land a critical hit, increasing both their kiting and disengaging potential. Slikk’s Sting Slikk’s Sting offers a number of beneficial stats that can be a big benefit to Yorn. Raising both his critical chance and attack speed, the item does a lot to increase the wielder’s damage output. Beyond that, it additionally offers some resistance to the wearer whenever they manage to critically strike, making them more resilient to control effects. Omni Arms Given that each one of Yorn’s abilities cause an immediate proc of his passive, he will need to cast them in between normal attacks to maximize his damage. As such, Omni Arms can be a great fit, empowering attacks each time he uses an ability. 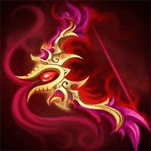 The item additionally offers a number of highly beneficial stats, making it a great pick up for the marksman regardless even when abilities aren’t available. Rankbreaker Specializing in physical damage, armor can be a huge detriment to Yorn. Rankbreaker takes care of this when dealing with squishier foes, allowing him to ignore a flat amount of the target’s armor. Muramasa As Rankbreaker cuts the armor of squishier foes, Muramasa shaves it off of tanks. This is due to the fact that it ignores a percentage of the target’s armor rather than a flat amount. This can result in a large amount of armor being removed from tankier foes, making each of Yorn’s arrows much more impactful. Fenrir’s Tooth Offering immense amounts of raw damage, Fenrir’s Tooth is a great way to improve Yorn’s finishing potential. The passive damage amplification will make his Heartshot a terrifying finishing move as well as ensure that the marksman can come out on top in drawn out fights. Ancestral Glory Yorn will be a high priority target in fights and doesn’t have any natural ways to defend himself. Ancestral Glory can give him a bit of wiggle room by resurrecting him after he falls in a fight. Enemies will be forced to pick another target first or risk exposing themselves to Yorn’s allies while they wait for him to resurrect. Gilded Greaves When constantly stopped by crowd control, Gilded Greaves can be your salvation. The shoes offer the valuable resistance stat, shortening the effects of control abilities and thereby making it easier for the wearer to either bravely fight or bravely flee. War Boots War Boots is a very aggressive option for mobility, offering attack speed rather than any defensive stats. These are best picked when with reliable tanks and allies who can protect you from enemy focus. Sonic Boots Sonic Boots can help Yorn come out on top when dueling other marksmen. The armor and damage reduction it offers best protects against normal attack focused heroes. Bow of Slaughter Due to how immobile Yorn is, he can benefit greatly from a way to recover his life. Bow of Slaughter offers just this with its fantastic active ability. The item grants 100% life steal for three seconds when used, allowing Yorn to regain health incredibly quickly when paired with his flurry shot. The item additionally offers attack damage, critical chance, and life steal, which can all be very valuable to the marksman. Here we focus on building up Yorn’s damage as much as possible. Each item contributes to his overall DPS in some way, either through attack damage, critical chance, or attack speed. His critical chance will be up to 70%, he critically striking more often than not. These critical hits will have a lot of weight to them as well, Fafnir’s Talon, Claves Sancti, and Fenrir’s Tooth all offering a lot of attack damage to the sun god. His main weakness his is that nothing is done to make up for his terrible mobility or survivability. One ambitious assassin could easily lead to him exploding all over the battlefield. While still allowing Yorn to become an offensive power house, this build pads in a bit more defense with the marksman’s items. Blade of Eternity and Omni Arms offer armor and health, respectively, to the user, with Blade of Eternity going a step further and picking up Yorn after he falls. While not huge benefits, they’ll go far enough without sacrificing too much of the marksman’s offensive power. Focusing enough on defensive items as to let him absorb the impact of assassins would cripple his damage output and thereby eliminate his usefulness. One thing that Yorn should definitely think about late game is selling off his boots. His minion clear speed will be fast enough that he will still be pulling in enough money for tier 3 items before the match ends, should it hit the late-game. At this stage of the game, small skirmishes will have all but vanished in place of large team fights. As such, the movement speed that boots offer become less important than high attack stats or survivability. Here we traded out shoes for another Slikk’s Sting to hit a happy medium. While Yorn can’t benefit from the passive twice, it offers impressive attack stats and some movement speed as well. This keeps him from fully trailing behind when the team rushes to push down the lane after winning a team fight. Other options to replace boots are Ancestral Glory for survivability, another Fenrir’s Tooth for raw damage, or Muramasa to deal with foes that have gotten exceptionally tanky late game. Richard Gagne sends a hodgepodge of items with no real order that, put together, build up to good mix of attack speed, attack damage, pierce, and critical damage. We decide to start off with Fafnir’s as usual, giving us the attack speed we need to proc Yorn’s passive when abilities aren’t available. After getting War Boots for extra attack speed, we opt for the pierce and damage from Rankbreaker to really start hurting the opponent – not to mention this is the time of the game when we need to be rotating to fights around the map, so the passive movement speed is useful as well. Next we build into our critical chance, starting with the strongest item in Claves Sancti, then Slikk’s Sting to get the crit% to a consistent level. Finally, the opponent will be sporting serious amounts of armor so we get Muramasa. It should be noted that getting Muramasa and Rankbreaker trims Rankbreaker’s pierce to 150, so switch Rankbreaker to Fenrir’s Tooth once you get the gold. Also, be particularly careful with positioning, as you don’t have Gilded Greaves to prevent you from getting perma-stunned. That all said, this is an excellent build that should have you ripping through the enemy. Well, I’m finally back on AoV after a break due to losing my phone. I have updated my Yorn build slightly. I have removed Rankbreaker for Omni Arms. Still, a glass cannon build I just found Omni Arms provides a better stat advantage over Rankbreaker and is more consistent in terms of burst damage due to Omni’s unique passive. Best Yorn Build: Gilded Greaves,,fafnir talon,claves sancti ,rank breaker, fenrir tooh ,bow of slaughter. So here is my build: fefnirs talon, gilded greaves, rankbreaker, frost cape, cleaves sancti, and the last item is muramasa if there’s a lot of tanky enemies or fenrir tooth if there’s a lot squishy enemies. Oh since I’m not an optimal builder this is by no means a cut and dry build if you would like and I would greatly appreciate moving the items around yourself to see what you come up with. Movement Speed Cap is 800, Attack Speed cap is 200% however there seems to be a soft cap that comes before that, Critical Strike is capped at 100%, and Critical Damage has technical cap of 286% as that’s the max you can get from items and arcana. This is a valid opinion, especially when paired with Bow of Slaughter. I will add it to the list, however I primarily like Ancestral Glory on Yorn due to how it takes him out of the fight and forces the opponents to switch targets.